The University of Miami Business School (MBS) is now accepting applications for its new Master of Science in Sustainable Business*, with classes beginning in August 2019. MBS’s continued commitment to developing the business leaders of tomorrow is embodied in this new program, through which students will learn how to make a positive impact on the environment and society in ways that increase the long-term value and sustainability of a business. “We are responding to the market. There is greatly increased demand for talented leaders who understand both business and sustainability, especially with a rigorous grounding in the science,” said John A. Quelch, Dean of MBS and Vice Provost for Executive Education of the University. “This new degree program will build leaders with a deep commitment to sustainability – giving current sustainability professionals a more holistic perspective of the field and preparing newer generations, who seek ‘profit with purpose,’ to become the chief sustainability officers of the future,” said Dean Quelch. According to a 2015 Harvard Business Review study, companies with full-time sustainability officers doubled between 1995 and 2003, doubled again between 2003 and 2008, and continue to grow. The curriculum for the MS in Sustainable Business will be highly inter-disciplinary, with courses taught by faculty from the renowned Rosenstiel School of Marine and Atmospheric Sciences and the Civil, Architectural and Environmental Engineering Department. Students will develop skills and knowdledge across multiple industries from energy and manufacturing through healthcare and hospitality to accounting and consulting. It was developed in collaboration with sustainability industry experts to embed the right skillsets into the courses. The robust science component integrated into the program will make it the first STEM-designated degree in sustainable business in the country, which will allow international students to extend their employment opportunities in the U.S. for up to a total of 36 months. 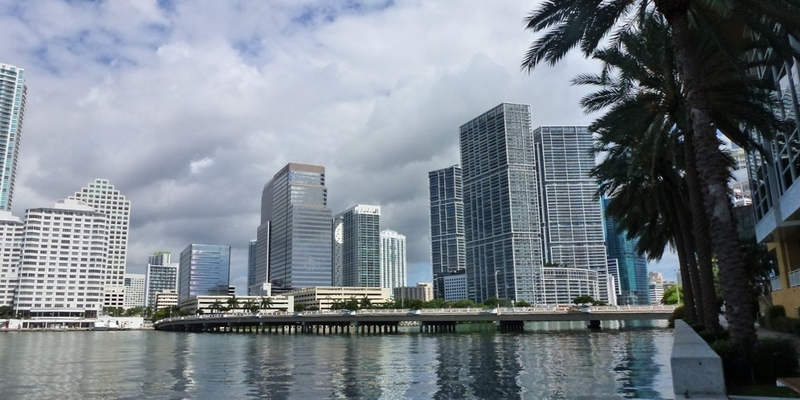 MBS is uniquely suited to promote a lasting impact through sustainable business management not only because of the recognized expertise of its faculty, but also due to the urgent environmental issue of rising sea levels in Miami. “It is our duty to foster actionable plans to counter this significant threat, and this degree program is a step in this direction. We want our students to take the lead, in Miami and beyond, to tackle the major societal and environmental challenges of our time and to ensure the long-term prosperity of business, society and our planet,” concluded Dean Quelch. For admissions inquiries, contact Loubna Bouamane at loubna@miami.edu. For more information or to submit an application, click here. * Pending approval by the UM Board of Trustees and the Southern Association of Colleges and Schools Commission on Colleges.